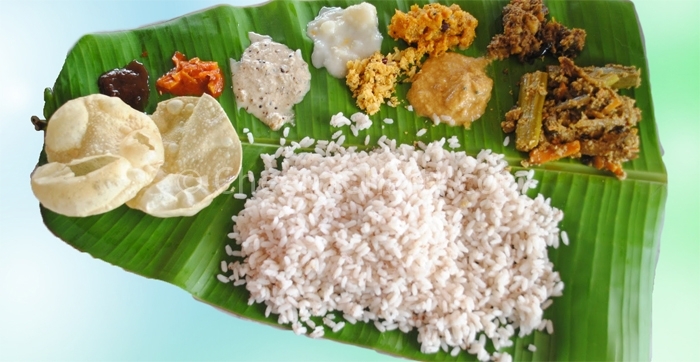 For this vishu invite your friends to home and give them a traditional kerala style sadhya / grand feast. In this post I will give you five side dishes for sadhya which you can easily prepare at home. Try it at home and let me know your feedback. Aviyal aka Mixed vegetable Kerala dish. It is prepared with as many vegetables as one can get. Although its an essential dish of Kerala vegetable feast, it is also popular in other south Indian states like Karnataka and Tamil Nadu. Aviyal is a thick mixture of vegetables, curd and coconut, seasoned with coconut oil and curry leaves. Pachadi is a popular side dish in Kerala sadhya / feast. The main ingredient in pachadi is curd. Pachadi can be made with a variety of vegetables. In this recipe we use pumpkin, pineapple and banana. Olan is a traditional Kerala side dish which is regular at every sadhya. Olan is made with red gram and vegetables (pumpkins) cooked in coconut milk, which gives it a rich and creamy texture.This recipe belongs to my loving grand mother. Kerala style parippu curry ( parippu koottan ) is a tasty and easy to prepare one. Moong dal curry can be served with Appam, Steamed rice, Thengachoru or for traditional Kerala sadhya. Don’t forget to let me know your comments after trying this moong dal recipe. This is palada pradhaman aka palada payasam which is a delicious dessert prepared using rice and milk. It is served usually in the end of Kerala sadhya (grand feast) along with pappadam and banana. It is an easy to prepare pradhaman with little effort. So make this vishu a memorable one for you and your friends. Happy Vishu. This entry was written on April 13th, 2013 by Renoos. Posted in Food collections and was last revised on September 30th, 2013.